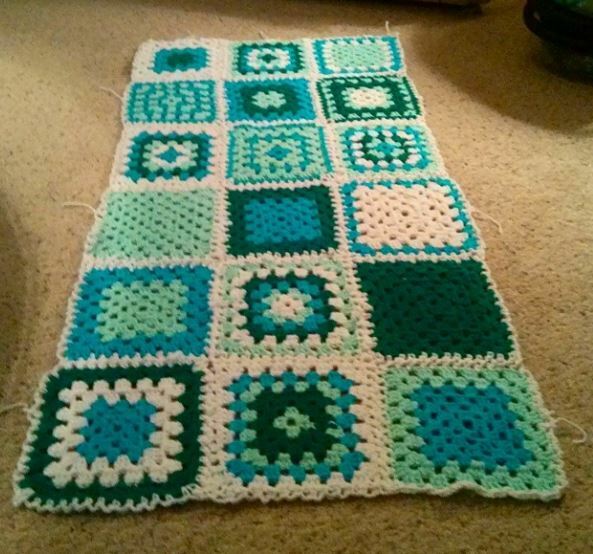 About a year ago I started a granny square afghan project to match the colors in my living room- Green, teal, and mint green. 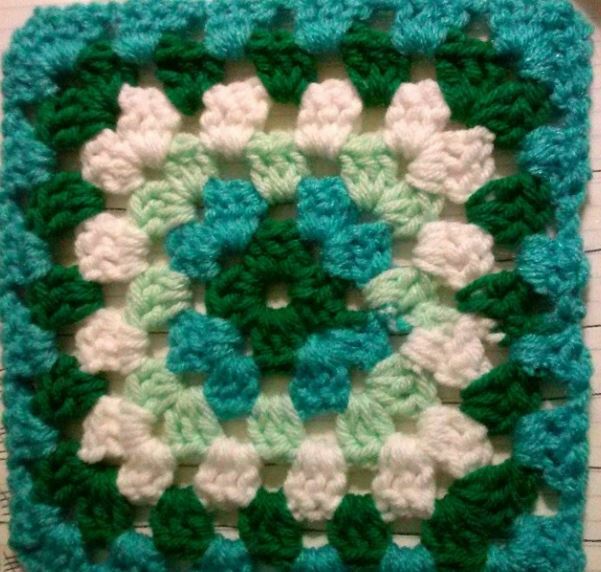 Granny squares are super easy to make, so I figured it would be a fast, fun project to undertake! Boy was I wrong, haha! It has been fun for the most part, besides being sick of looking at all these stupid granny squares. Seriously. So. Many. Squares. And I decided to make all the squares different, to make my life even more difficult, obviously. This isn’t even all the squares. But I kept going until I had enough to make up my blanket. I made 60 granny squares total, to have 10 rows of 6 squares each. It’s going to be a big one since my boyfriend and I like to snuggle under them on the couch and he’s pretty tall. Nothing worse than a blanket that isn’t long enough to cover your toes. 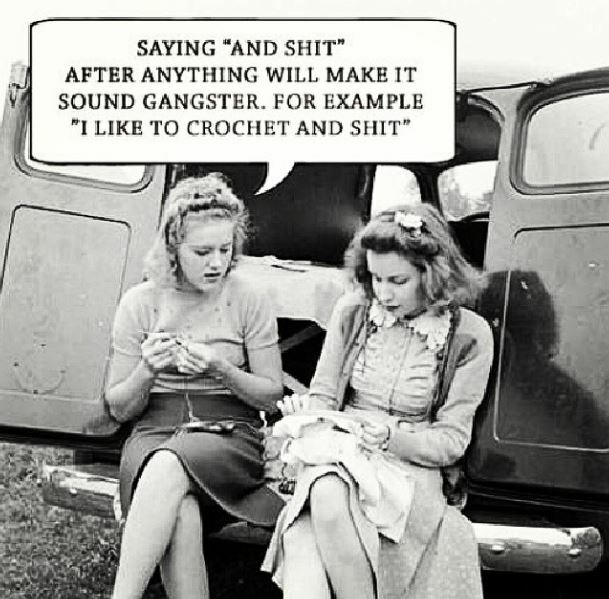 Does anyone else out there crochet? Have a favorite stitch they use?